Harry Walther, bio for television and radio interviews. I have studied Theology, Bible Prophecy, UFO Theory and The Occult for over 20 years. I also study the Bible Codes and Nostradamus and compare these predictions with Bible Prophecy. I have had three books published, JESUS, SON OF GOD, CLONE OF GOD (2011), THE ANSWER-TWO RAPTURES (1986) and JUNE 6 2006, ANTICHRIST REVEALED (2006) by HARRY WALTHER. I also appeared on History Channel's WEIRD US, Christmas Special where we brought our SANTA BE GONE mesage to television and made "history" as the first Anti-Santa show on TV. "I believe we are living in The End Times and we are the Final Generation, the generation that will witness the First of Two Raptures and watch The Book of Revelation unfold". Here is my general biography. It is not one filled with the doctrates and degrees of men. Rather it shows The Calling of God upon my life in 1982 and the leading of His Holy Spirit. (Jer:1:5). This Prophecy was given to me at a time when The Internet and Micro-chip Implants were just a Science Fiction, The Bible Code was unknown and The Start of The Tribulation seemed Light Year's Away. 1750 AD, We would all have known The Mystery of "The Trinity", that JESUS IS TRULY THE SON OF GOD, CLONED BY THE FATHER before The Foundation of the world (Jn:3:16). Yet all of the Scholars and Famous Christian Authors with all of their degrees and doctrates cannot solve any of these three Mysteries, that of Antichrist, The Rapture and The Trinity". Far more than a Theological Degree from a Bible College is needed to know the deep mysteries of Prophecy and what is needed is the Wisdom and Understanding from Above, that only The Holy Spirit can bring to us. 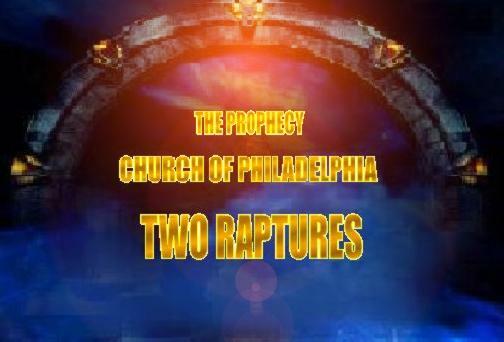 I do not claim to be a prophet as I do not believe there are true prophets today (just a multitude of false prophets). My claim is that God gave me the wisdom and understanding to correctly Interpret His Prophecy, The Book of Revelation which includes the Revelation of Two Raptures and the true name and Identity of Antichrist, and to Solve The Mystery of "The Trinity". As so many people ask me who I am and what is my religious background, ordination, etc, it is now time to set the record straight. I do not believe-in Catholic and Protestant Theology. It has been twisted and skewded by almost 2000 years of Church Tradition and Error as well as The Horrors of The Crusades, Inquisitions, Heretic Hunts and Witch Burnings. Therefore, being true to my beliefs, I have not attended their Bible Colleges, Divinity Schools and Seminaries and I make no claim to their man- made Degrees and Ordained Titles of "Reverend" or "Father." After twenty years of independent study, research and prayer, In Sept 1997, I created and started ESCAPE666.COM (Bible Prophecy Revealed) as The Offical Site for The Church of Philadelphia- Internet. I believe that God called me to start this Internet Church Ministry that is modeled after The Faithful Remnant Church, The Church of Philadelphia as we read in The Book of Revelation, Chapter Three. For over fourteen years more than fifteen million people have visited our site and I had The opportunity, as Pastor Harry, to help many with their Walk with God in Christ. If my starting a Church over The Internet surprises you, we must realize that the 6000 plus Christian Sects were all started by a small handful of men who rejected the Christianity of their day and believed that God has called them to start The "true" Church. Those Churches that had a popular message multipled into Vast Denominations and eventually built Bible Colleges where as degrees were bestowed upon Graduates as well as Titles of Ordination." Although formal Christian Education can be helpful, The True Source of Biblical Truth comes From The Holy Spirit (John:16:13). My Doctrines come from God or man? Upon Which This Site Is Based. claim to be a prophet? Two Raptures to come and not one.